What can we expect to see in YouTube Rewind 2018? It's that time of year again, and I don't mean Christmas. It's time for YouTube Rewind. YouTube Rewind is, in polite terms, a retrospective look back at all of the trends and creators that took 2018 by storm. A trailer for this year's Rewind just dropped, so right now feels like a good time to look back on last year's video, as well as think about what we may see in 2018's version. The 2018 Rewind will air on December 6th, so I thought I'd revisit last year's effort to refresh our memory. In just five minutes, I was reacquainted with the likes of Despacito, KSI, fidget spinners, the Paul brothers, and Shooting Stars - aka that song that accompanied memes of things flying through space. Big Shaq also made an appearance. The video also featured over 300 creators. UK names such as Dan and Phil, Emma Blackery, Caspar Lee, Oli White and Connie Glynn were all spotted alongside international stars such as Casey Neistat, Philip DeFranco, Liza Koshy and Lily Singh. What will we see in Rewind 2018? The biggest trend this year without a doubt is Fortnite. The battle royale epic is likely to be all over this year's Rewind. 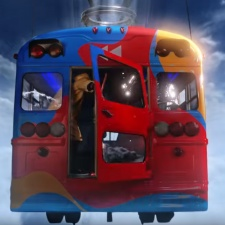 Yesterday's teaser for the Rewind showcased what looked like Fortnite's battle bus. YouTube has already confirmed that a number of the platform's creators will appear in the video. Stars such as Liza Koshy and Caspar Lee will be returning alongside new faces, including Marques Brownlee, The Try Guys and ASAP Science. Ninja could also make an appearance, despite Twitch being his primary platform. It's unclear as to whether Logan and Jake Paul will return this year. Logan Paul's corpse vlogging controversy at the start of year may have nulled his invite to the celebration. However, he did have a fight with KSI in August so that might have redeemed him. We're also expecting to see reference to a number of 2018 trends, including baby shark and PewDiePie's T-Series feud. There may also be a nod to Childish Gambino's massive hit 'This Is America', which dropped back in May and has racked up over 438 million views. It's also likely that we'll see more dabbing and flossing than a dental surgeon.